With the new Bobcat loaders, there’s a difference you can see – and a difference you’ll experience on the job. They have a completely re-engineered cab that keeps you comfortable, with superior power and hydraulic performance that will help you do more, do it faster and better. Add to this simplified maintenance and serviceability; and a completely new engineering design coupled with improved durability that further increases up-time. The S510 and S550 models are radius lift path loaders, combining excellent maneuverability in tight areas with the reach and visibility needed for applications such as dumping materials over walls, back-filling or loading flatbed trucks. 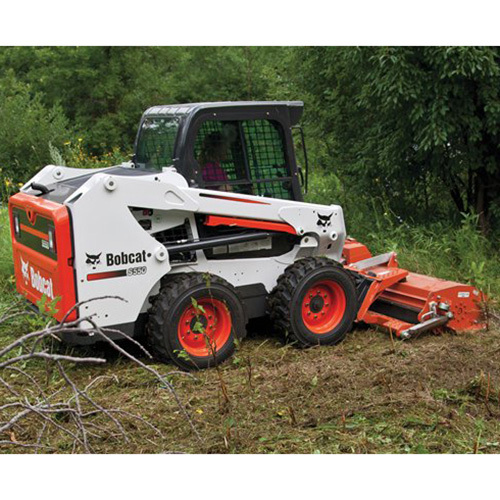 With the new Bobcat loaders, there’s a difference you can see – and a difference you’ll experience on the job. They have a completely re-engineered cab that keeps you comfortable, with superior power and hydraulic performance that will help you do more, do it faster and better. Add to this simplified maintenance and serviceability; and a completely new engineering design coupled with improved durability that further increases up-time. Bobcat already has the best cabs on the market with the largest cab space in the industry, but when we re-engineered our loaders, we went even further. The new cab, with new positioning and design for better visibility, is the best one yet. 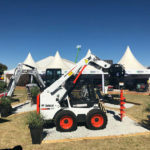 Bobcat increased the cab space by 10% – with more room for your arms, legs, shoulders, head and feet. It’s not just bigger; it’s quieter. The sound within the cab is reduced by more than 60% for a more comfortable working environment. If you want big performance in a smaller package, this is the loader for you. And, we’ve further enhanced the machine with 20% stronger hydraulics for improved attachment performance. Increased fuel capacity, more powerful and brighter lighting and many other features will save you time and effort on the job. Bobcat loaders are known the world over for their rugged durability. 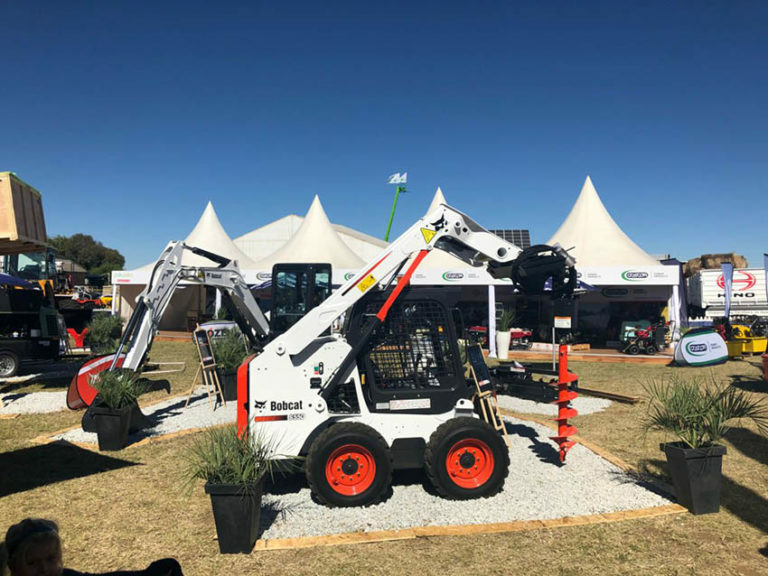 Thanks to heavy-duty construction, component protection and a superior design, the Bobcat loader outperforms others, maximizes up-time, offers more comfort and is still the easiest and fastest to service. Easy access to routine maintenance points – so daily maintenance is done quickly and easily. 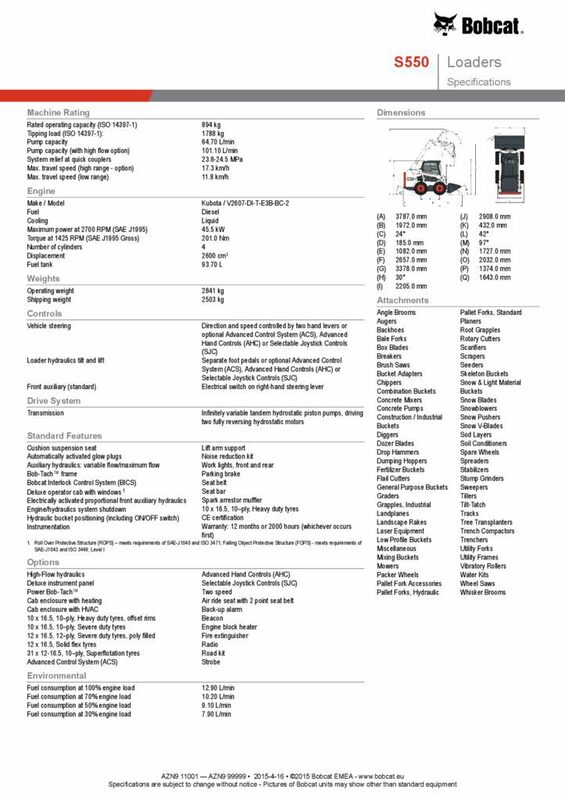 The swing-open tailgate and the transverse mounted engine provide one-sided serviceability. Cab tilt provides easy access to the hydraulics. All result in unmatched access to routine and long term maintenance points.